One of the shining lights among Women Composers in early 20th Century France. Yvonne Desportes is probably not a name very well known outside of French music circles. Born in 1907 and passing away in Paris in 1993, Desportes was a prolific composer as well as writer and a well respected professor at the Paris Conservatory. Even with an impressive catalog of over 500 works, including operas, chamber and symphonic works, she is very seldom performed these days, and aside from her textbooks, she is almost completely forgotten. This weekend it’s Two Serenades for Three Trombones and Tuba, featuring members of the Orchestre National Trombone section with Paul Bernard on Tuba. Since it’s a radio recital from the ORTF, it’s a best guess estimate this broadcast was from 1953. In any event, it is highly unlikely this recording has seen the light of day since it first aired. A rarity and an unjustified neglect. Seems to go hand in hand. One of the cornerstones of French musical life in the 1950s. Something familiar tonight, but rare nonetheless. 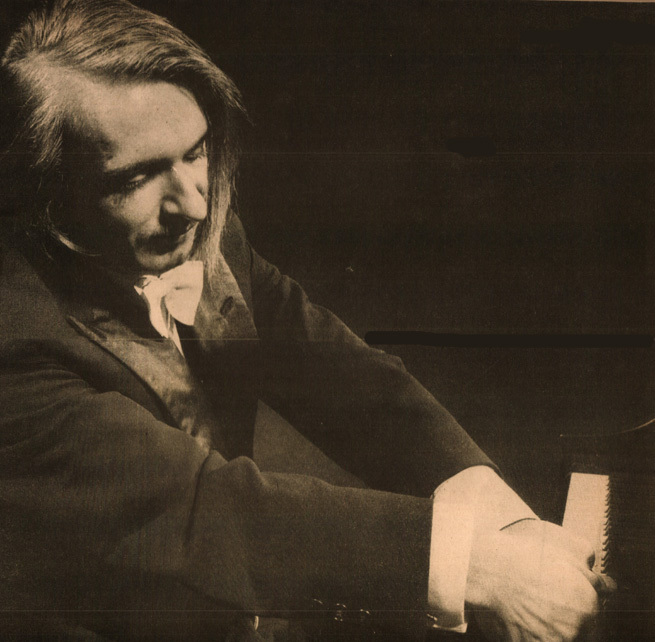 A performance recorded during the 1951 Besançon Festival featuring l’Orchestre de la Société des Concerts du Conservatoire, conducted by the legendary André Cluytens and featuring another noted, but almost forgotten figure, pianist Henriette Faure in a performance of the Ravel Piano Concert for the Left Hand. What is significant about this performance is Faure was an early champion of the music of Maurice Ravel, and one of the first to perform his works in public. Most of her active recording was done in the 1930s to 1950s, but even then her output wasn’t huge. Her recordings of Ravel’s music are considered virtually definitive because of her close association with the composer. And apparently, those original lp’s are going for ridiculous sums of money in collectors circles. This performance comes from the same concert as the Schmitt I posted a few weeks ago. So we’re inching closer to a complete concert at some point. In any event, I don’t believe this performance has been issued in any form, and what became of the masters of this concert is anyone’s guess. Enjoy and excuse the odd tick, pop and garble. At 62, this recording is doing better than a lot of people. Performed often during the first 40 years of the 20th century. After that . . . The music of Florent Schmitt this weekend. A popular figure during the first four decades of the 20th Century, Florent Schmitt fell into obscurity shortly after his death in 1958. A composer of note during the time, but also a critic who made more than the usual number of enemies, his vocal indiscretions once prompted a publisher to refer to Schmitt as “an irresponsible lunatic”. And that may have had some bearing on his neglect in later years. Schmitt wrote some 138 pieces during his lifetime, composing in most every style except for Opera. During the 1990s, his music started getting a revival of sorts, with a number of his unpublished works being discovered and played for the first time. This weekend it’s a live performance of one of his better known works, “La Tragèdie de Salomè as played by the Paris Conservatory Orchestra conducted by the legendary Andrè Cluytens during the 1950 Besançon Festival and recorded by the ORTF (Paris Radio). Cluytens recorded this work commercially, but this performance hasn’t been issued. This is a repost of one I did in June of last year of the same work, but a better transfer and a revised date of performance. Enjoy if you haven’t heard it yet. Enjoy if you have heard it, but wanted it to sound better. Back to Paris this week for an encore performance (originally posted 3 years ago in not-so-good sound) by the highly acclaimed Pasquier Trio with guests the legendary Jean-Pierre Rampal on flute and harpist Odette Le Dentu in the Quintet Serenade op. 30 by Albert Roussel. Still guessing as to the date of this broadcast, via ORTF in Paris. I initially said it was 1948, but I am starting to think it may be 1952 or 1953. Any clarification from my French friends would be greatly appreciated. In any case, a broadcast performance of a work not played often, coupled by a rare performance not made available commercially. A win-win situation for this Sunday night. Yvonne Lefébure accompanies Jeanne Gautier in a Radio recital this week. Back to Paris this weekend for a radio broadcast performance of the Ravel Sonata for Violin and Piano as played by two icons of French music in the 20th century, Jeanne Gautier and Yvonne Lefébure. Jeanne Gautier is probably one of the lesser-known but notable female violinists who recorded in the 1930’s to 1950s but who has pretty much lapsed into obscurity over the years. Less so for Yvonne Lefébure, whose reissues on CD have been numerous in recent years. As always with these French Radio transcriptions, dates are illusive, but the best guess would put it around 1953. There was a commercial recording of this Ravel Sonata featuring the same musicians, issued on a 45 by the label Le Chant du Monde, but it’s doubtful that performance is derived from this one but it’s possible they may have been recorded around the same time. The commercial disc, at last check, has gone for the princely sum of $1100.00 on Ebay. So . . . . . In any event, here is the radio recital, as given over the ORTF in the early 1950s. To him, the Piano was no place for Shrinking Violets. I am only guessing when I say this broadcast recording from the ORTF is from circa 1953. Since I have no access to exact recording dates, I can only say it predates the commercial recording, which also featured Samson Francois, but featured the Paris Conservatory conducted by Georges Tzipine – that one was recorded in 1958 for French Columbia. In either event, this recording is probably the first broadcast performance, since it premiered in 1943 and there doesn’t seem to be any recording of that, at least for now. Renè Challan came from a musical family, his brother Henri was also a composer and he is the father of Harpist Annie Challan. Even though he was a gifted and well regarded composer, Challan’s primary reputation was that of Artistic Director for the Pathè-Marconi label and the careers of some of the greatest musicians of the 20th century which he guided from 1945-1975. Without question, just about every classical recording made or originated by Pathè-Marconi from that period bears his name. This weekend it’s the work of Renè Challan the composer – his Piano Concerto as performed on this broadcast by The French National Orchestra, conducted by Manuel Rosenthal and featuring the dramatic and legendary pianist Samson Francois. So nice, I had to dig him twice. Since I’m a firm believer that you can’t really have too much of a good thing, as a sort of encore to the 1997 Montreux performance, I just turned up this 1961 Paris performance by the legendary Ray Charles. If you’re like me, the earlier performances have a bite to them that the later ones understandably don’t. For one thing, Ray Charles voice is wonderful in 1961 and the audience is anything but blasè. 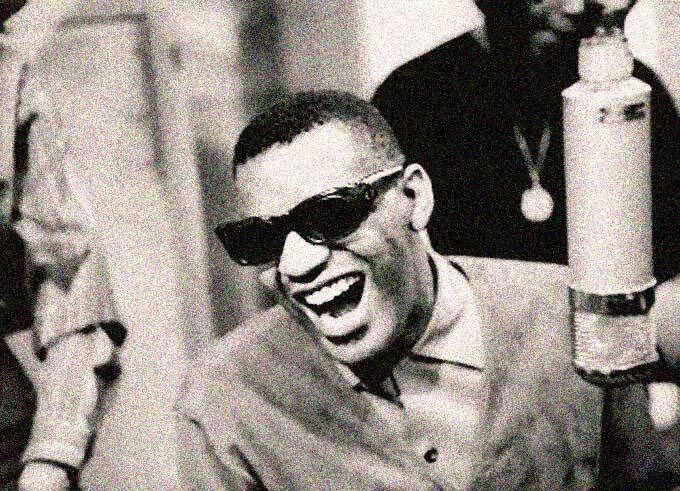 So to give you another taste of The Genius of Ray Charles this weekend, here is that concert – recorded live at Palais des Sport in Paris by the venerable ORTF on October 22, 1961.